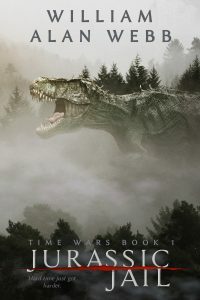 This book is free from 04/11/2019 until 04/15/2019. G. C. Julien is an award-winning author of gritty, young adult fiction and dark dystopian stories driven by strong female characters. One of her most cherished works, The Feral Sentence, has captured the hearts of thousands of readers. When she is not having animated discussions with the characters in her head, G. C. Julien can be found gaming, playing acoustic guitar, or painting characters from comics, movies, or video-games to be given to family and friends. The world, as we know it, has ended. One man stands resolute. A man who has been trained in the savage arts of war. A man who lives his life according to a creed. A simple man who wants none of the power thrust upon him. This man is Marine Sergeant Nathaniel Hogan, seconded to the American Embassy in London and, although he does not know it, he is – The Forever Man. Craig has received numerous awards for his fantasy works including the Radio BBC London Readers Choice Award and the Golgonooza gold medal for best newcomer. He also writes Action Thrillers under the pen name C. Marten-Zerf. 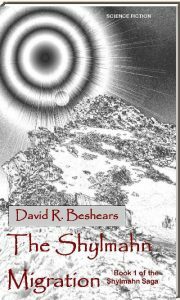 In the Great Commonwealth of Beimeni, a subterranean civilization in North America, expansion long ago gave way to peace and prosperity in the face of the history’s most devastating plague. Immortality is the reward for service and loyalty in Beimeni, a place where the physical blends with the metaphysical and power consolidates in the hands of those with a genetic edge. The fissures first spread slowly, then swiftly, until now the Great Commonwealth finds itself on the brink of economic devastation, challenged by forces from within that know its secrets and its crimes. At the center of the conflict lie the Selendias of Piscator, founders of the resistance with an uncanny connection to the zeropoint field, and the Barão Strike Team, three researchers tasked with finding a cure to the Reassortment Strain, the plague that nearly wiped transhumankind from the Earth. Traveling from the uninhabitable but pristine surface to the habitable but inhospitable underground, this is a story about dedication to dreams, battle for survival, discovery and connection, song and celebration, undoing past misdeeds, and sacrifice for the greater good. In The Song of the Jubilee, Captain Broden Barão, Striker Nero Silvana, and Strategist Verena Iglehart, together with the elite Reassortment research team, release a protohuman on the Island of Reverie, testing a serum designed to thwart the Reassortment Strain. They must find a cure to the plague or suffer the inevitable consequence for failure: demotion or worse, exile to the Lower Level some four thousand meters beneath the Earth’s surface. Meanwhile, in the Great Commonwealth, two thousand five hundred meters deep, the resistance movement known as the Liberation Front suffers a disastrous defeat when its leader, Jeremiah Selendia, is captured by Lady Isabelle Lutetia, Supreme Director of the Department of Communications and Commonwealth Relations. With Jeremiah held by the government, his middle son unexpectedly finds the weight of the war on his shoulders. It falls to Johann to lead the Front, to rescue his father from one of the commonwealth’s most impregnable fortresses, and to keep his younger, underdeveloped brother hidden from the chancellor, who forces foes to undergo clinical trials against the plague upon the surface. 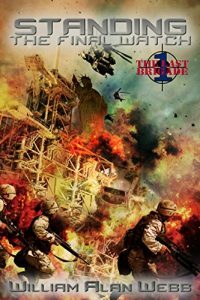 Johann’s efforts draw the attention of powerful enemies and start a chain of events that will forever change his family, the Barão Strike Team, and the Great Commonwealth of Beimeni. This book is free from 01/18/2016 until 01/25/2016. 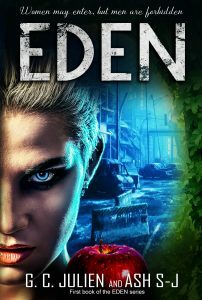 Raeden Zen is a speculative and supernatural fiction author. When he isn’t writing, you can find him hanging out with his family and friends, reading, eating exotic foods, enjoying movies, swimming, procrastinating with social media, or watching sports. He lives in New York City. Deirdre Gould lives in Central Maine with her three children and husband. She’s also resided in northern Idaho, coastal Virginia and central Pennsylvania, but all of them just led her back home.The winters sure are cold, but that just means the zombies run slower. The area is isolated, but that just means the apocalyptic diseases don’t spread as quickly. And the storms are bad enough that no one thinks you’re crazy for “prepping.” It’s kind of ideal for a post-apocalypse writer when you think about it. This book is bargain priced from 06/11/2015 until 06/11/2015 Check book price before you buy, as prices can change due to expiration of the sale or other technical issues. At the edge of the eastern coast of North America, a group of fierce, irreverent, daring companions fight for their lives! It is the future, a world where technology is no more. Here, years before William Evers came to Daniel’s Fork, we find him battling ‘wilders’ and fighting his way out of the bleak emotional landscape that a devastating loss has left in his heart. His beloved companions, Gabby and Jonas, are young warriors following blindly where William leads, driven only by their unconditional love and loyalty. We see the entire family come together as they will be years later in Daniel’s Fork. Be warned: the story does contain strong sexual content not suitable to young readers and those adults who object to such content. It is approx. 27 pages long. If you already read Daniel’s Fork,the characters will be familiar. If you haven’t, this story, however, stands alone and is a great intro to the series. The main focus of the story is the companions, especially Gabby. A truer picture of the seemingly vapid beauty emerges which answers a great many questions and shows that she is anything but trivial.